Commentary of Italian Intellectual Property Rights Code, co-edited with Alberto Gambino and published by UTET Wolters Kluwer (2011). A member of the government Boards of IP Counsel since 2005, Professor Galli was appointed by the Ministry of Economic Development as a member of the High Commission Technical Committee on the Fight against Infringement and also the Italian National Anti-counterfeiting Council. He was on the expert panel that drafted the 2010 reform of the Industrial Property Code and the rules aimed at implementing the Unified Patent Court in Italy. 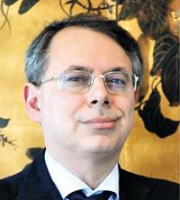 In 2010 Confindustria appointed Professor Galli as a member of the Intellectual Property Advisory Board and chairman of an expert panel for the Italian National Anti-counterfeiting Days. He was involved in the process that led to Italy taking part in the Unified Patent Court Agreement in 2013 and in the enhanced cooperation on the unitary patent in 2015. He also assisted the Italian delegates in drafting the Rules of Procedure. In 2009 Professor Galli was appointed as a member of the European Observatory on Infringements of IP Rights on behalf of Confindustria and Indicam. He is the director of the Trademarks Board of the Italian Group of the Association for the Protection of Intellectual Property, a member of the Licensing Executives Society Italy and a senior fellow of Istituto Bruno Leoni.